🌷🏡SPRING🌷🏡 is the perfect time for a new ROOF! 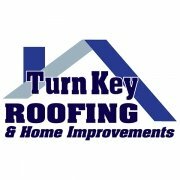 TURNKEYROOFING.NET #TurnKeyRoofing #Roofing #UpstateSC#andersonsc #greenvillesc #yeahthatgreenville — atTurn Key Roofing and Home Improvements. 🌷🏡SPRING🌷🏡 is the perfect time for a new ROOF! TURNKEYROOFING.NET #TurnKeyRoofing #Roofing #UpstateSC — at Turn Key Roofing and Home Improvements. https://turnkeyroofing.net/wp-content/uploads/2018/06/turnkey-sq-600.jpg 600 600 Turn Key Roofing /wp-content/uploads/2018/06/turn-key-header.png Turn Key Roofing2019-03-21 11:37:172019-03-21 11:48:40Spring is here!! Congratulations Phyllis Dean on your new roof! THANK YOU Quinnterious Hall for nominating your mom! Phyllis is the WINNER of our New Roof Giveaway promotion we ran during Christmas. She is a precious lady….well deserved! https://turnkeyroofing.net/wp-content/uploads/2018/06/turnkey-sq-600.jpg 600 600 Turn Key Roofing /wp-content/uploads/2018/06/turn-key-header.png Turn Key Roofing2019-03-08 14:52:242019-03-08 14:52:24OUR WINNER ! !